As featured on This Morning, ITV, The Times and Zest Magazine, buggyfit is the ultimate fitness class for new Mums wanting to get back in shape after their new arrival. 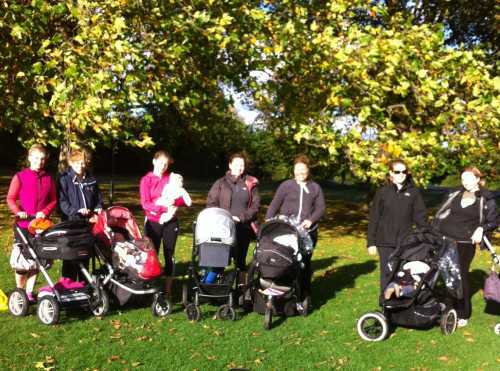 Exercise classes are out in the fresh air with your baby or toddler in their buggy. Classes comprise of power walking aerobic exercise, gentle stretches, muscular strength, endurance and toning, posture and pelvic floor work. HOW DO I JOIN BUGGYFIT? We will ask you to fill in this health screening form before your first session. Newnham, CB3 9HB - meet by the café hut. *Please note classes may be subject to change due to unforeseen circumstances!